To celebrate this year’s release of Beaujolais Nouveau, Japan Airlines will serve a wine produced by Pierre Ferraud1 on select international routes and airport lounges in Japan on November 15, 2018. The Pierre Ferraud Estates is a highly-acclaimed, long-established winery, which has been making Beaujolais since 1882. In addition, the winery has received the highest four-star rating in the Beaujolais region by wine critic, Robert Parker. French culinary master Thierry Marx2 and Pierre Ferraud have paired to create a special wine, for distribution limited to Japan, called Beaujolais Village Nouveau – Vieilles Vignes Non Filtre – Thierry Marx Special Edition 2018. The exclusive red wine is made from grapes picked from the vineyards owned by Pierre Ferraud and under the supervision of Thierry Marx, the wine will be paired with JAL`s inflight cuisine for First and Business Class customers. 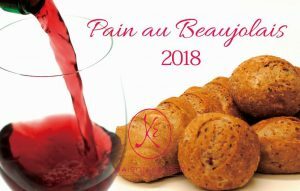 To accompany the wine, JAL will also serve PAIN AU BEAUJOLAIS made by Maison Kayser, which utilizes Beaujolais Nouveau in the bread-making process. This savory bread will be served on select international routes and lounges at Narita and Haneda airport. JAL will continue to embrace new challenges to develop innovative inflight menus and looks forward to serving customers with one of the year’s most anticipated Beaujolais wines aboard JAL`s flight and airport lounges on November 15, 2018. Service will be provided while supplies last.